Writing isn’t the Sony tablets’ strong suit — that would be the reMarkable’s territory. While looping out a circle or striking through a passage is just fine, handwritten notes are a pain. The resolution, accuracy, and latency of the writing implement are as far as I can tell exactly as they were on the larger Sony tablet, which makes sense — the CP1 basically is a cutout of the same display and guts. 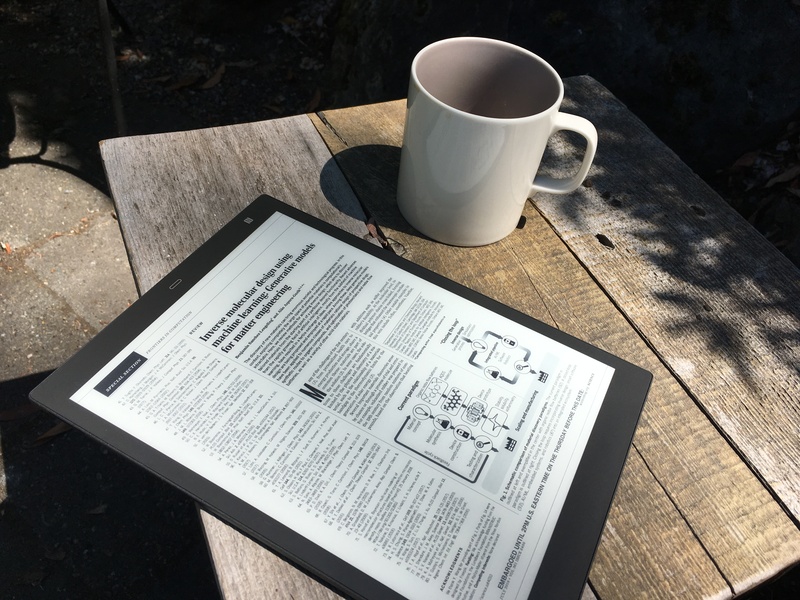 PDFs display nicely, and the grid pattern on the screen isn’t noticeable for the most part. Contrast isn’t as good as the latest Kindles or Kobos (shots in the gallery above aren’t really flattering, since they’re so close up, but you get the idea), but it’s more than adequate and it beats reading a big PDF on a small screen like those or your laptop’s LCD. Battery life is excellent — it’ll go through hundreds of pages on a charge.